So, I start thinking as to what does it mean for International Grad student? If I were applying for Master’s right now and preparing to spend next 5-7 years in USA, what would I like to know? He said he would quickly cancel a program Mr. Obama put in place by executive action that gave protection from deportation and work permits to about 800,000 undocumented immigrants who came to the United States as children. They will lose jobs and scholarships that allowed many to attend college and start careers, and they will become vulnerable to deportation. Mr. Trump would also permanently cancel a broader protection program for undocumented immigrants that Mr. Obama tried to carry out that was blocked by the courts – This impacts undocumented immigrants and NOT students on proper F1 student or H-1B visas. 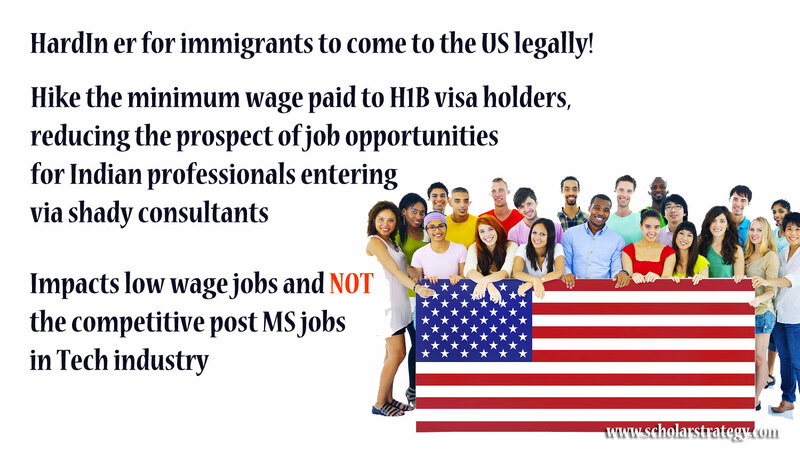 If you are a MS/PhD student hoping to work in USA later on, you need H-1B visa sponsorship. 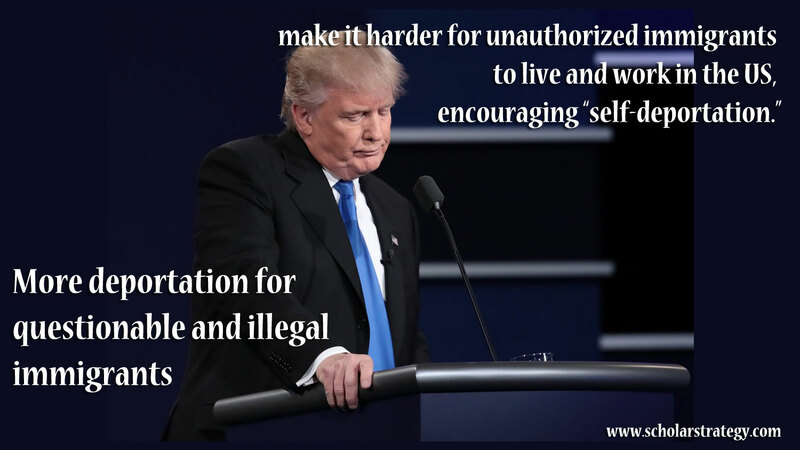 There is some speculation that Trump can make immigration tougher. He can do this by raising the minimum wage requirement for H-1B employment.Since grads from good institutes start on an average salary of USD 70,000+, there is likely not a possibility that minimum wage would be an issue for qualified grad graduating from reputed universities. Continuing on this earlier point, he can reduce STEM OPT extension (which currently stands at 1 year normal + 24 months additional, making it 3 years OPT duration) to give lesser time for people to get H-1B visa approval. However, losing the highly skilled graduates who are studying from your top institutes does not make sense and the government knows it. Besides, Mr. Trump has himself been employing H-1B workers in his companies. As Paul Graham himself had conceded that for tech, American companies will keep looking at international talent. So, I do not think Trump would make it very difficult for graduate students to continue working in USA. On a brighter side, sorting out the illegal immigrants issue might mean better service for legal immigrants including faster green card processing. Overall, his policies would affect illegal immigrants, low skilled immigrants and employees on low wages. As a graduate student studying STEM or Business disciplines, one is not most harshly impacted. Of course, it all remains to be seen until new policies are approved by the new government. Till then, keep calm and apply. For preparing for your career by graduate studies in USA, check out counseling packages on www.scholarstrategy.com We work with selective students only. Is Cornell MEng worth the money?